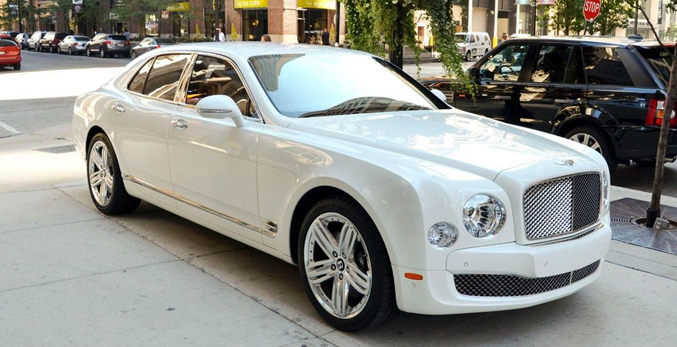 The Bentley Mulsanne is much more than a simple pairing of luxury and power. 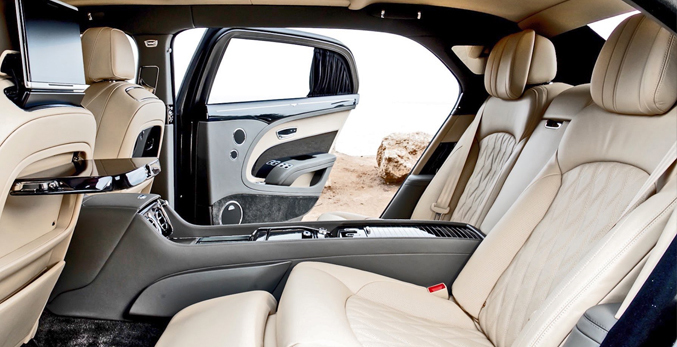 The character of the V8 engine note is barely perceptible from inside the cabin while the car is cruising. 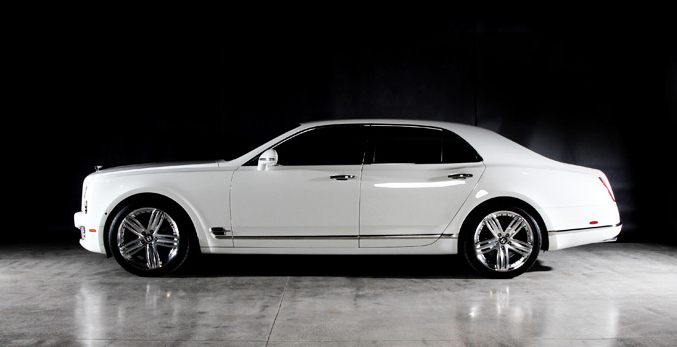 Bentley Mulsanne hire from Epic is the ideal vehicle for any special occasion. 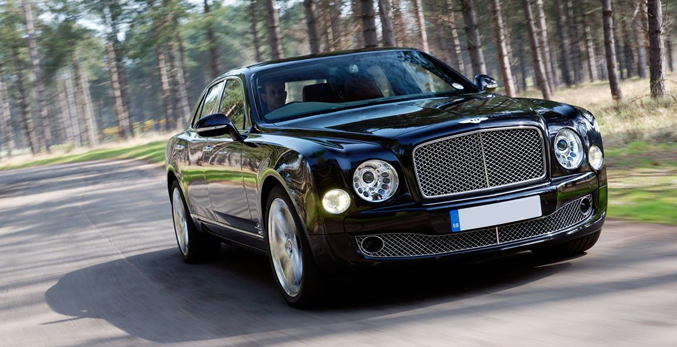 The Bentley Mulsanne is in a different class when it comes to luxury car hire. 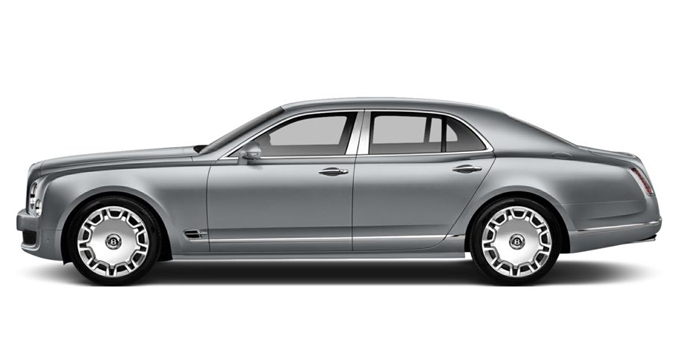 With an impeccable look and feel, this car is truly stunning and one of our most popular choices for wedding hire. Beneath the Mulsanne’s bonnet lies a 6¾ litre, twin turbocharged V8 engine which produces 505 bhp (377 kW / 512 PS) at 4,200 rpm and up to 1,020 Nm (752 Ib.ft) of torque at 1,750 rpm. It accelerates from 0-60 mph in 5.1 seconds (0 -100 km/h in 5.3 seconds) and on to a top speed of 184 mph (296 km/h). Performance figures like this are unheard of in any other four-door luxury car, and help deliver a truly spirited drive. Cutting-edge engine technology comes with competitive emissions (C02 of 342g/km) and fuel consumption (18.8mpg).